It was a fine Saturday morning when we flew to Tacloban, Leyte, our gateway to another off beat paradise. From the city center, a 3 hour roadtrip to get to the jump off port in Palompon, Leyte. I got lucky enough that day to take an earlier flight as scheduled. I was able to join the group exploring two beautiful islands. When we landed in Tacloban Airport, you will not only see how devastated the place was, but you can also feel their struggles in mending what has been destroyed. We all know, I mean the whole world knows what tragedy happened to this City when Super Typhoon Haiyan (Yolanda) hit them. They did not just experience physical turmoil but mentally and emotionally battered. I know in God’s time, they will be able to recover and will shout to the whole world that we , Filipinos, are stronger than the strongest typhoon ever recorded so far. Excitement is what I felt the moment we hop into the jeepney (big and colorful) to take us to our main destination: Kalanggaman Island. From the airport, it took us roughly 30 minutes to get to the terminal where we can take a van going to Palompon. We pass by some areas turned into evacuation sites where families and small communities just live in a tent. I got teary eyed; these people doesn't have a comfortable place to stay. I can’t imagine how hard life must be if I am in there shoe. I should be grateful for what I have right now. I may not have the biggest house and living a very luxurious life, but at least, I get to stay in a sturdy home and I don’t fear about what tomorrow may bring. After 3 hours of wandering around Leyte’s mountainous roads, we finally reached the Municipality of Palompon We headed to the tourism office to settle our things, grab something to eat and bought the stuff we need to take to island to survive an overnight stay. The view is just stunning from the jump off port. Who can resist smiling when eating if you are facing the crystal blue water? This just added to my lunchie appetite. While roaming around the place, we passed by a church. I wasn’t able to check the name but the fact that it has the statue of The Sacred Heart of Jesus, I would assume that it was named after it, but I can also be wrong. Wohoo! I can see it, we’re almost there! A typical island paradise, dotted with coconut trees is what I see from afar. Excitement level increasing. The sun is high, the sky is clear and the water is too tempting to resist. Welcome to Palompon’s Naturally Captivating Island. Approaching the shore, the sandbar is already visible, this place is amazing and it’s just worth the long ride. Another playground for free spirited people on earth. Hailed as Leyte’s Crown Jewel is absolutely a heaven on earth. Kalanggaman Island is considered one of the most beautiful beaches in the Province. It offers postcard-perfect virgin island boasting white sand, clear water and cool breeze. By the looks of it, I think I am going to have a great time here. Less people means more fun! The place is inhabited and maintained. There are only few structures such as native huts and big cottages. Upon reaching the shore, we went towards one of the native huts and settled in. I saw a wooden watchtower few meters from our cottage. I had a small chitchat with the lifeguard on duty (can be a boatman, whatever) and asked him if I can use the place to sleep for the night. Gladly he agreed, I am so happy. A little something I knew about Kalanggaman. The Island got its name from a Cebuano term “langgam” which means bird. The island is unique from others because of it’s long sandbar stretching on both tips resembling the wings of the bird. Probably the reason why it got the name Kalanggaman. Walking in the sands of Kalanggaman Island, it may not be as powdery and fine as Boracay or Calaguas or Bantayan but it’s not that bad or rough after all. The broken corals and stones taken to the shore is quite tolerable but the water is just so clear and inviting. Few hours passed, we started exploring the island. Early in the afternoon we went to the sandbar, it's not yet 100% visible but the water level is just enough for us to play around. We did some acrobatic shots, jump shots, fighting shots since we really have a very good backdrop for this dramatic scenes. We had a great time taking splash in the crystal clear water. Facing the island, the left side served turbulent waves and a bit fierce so it’s not really ideal for swimming but on the other side of the , its calm and clear, or just say a perfect spot for floating. Some went back to the main island while the four of us was left in the sandbar and we continued our craziness. We did more jumpshots, lifting stunts and the like. I know that the spot where we are right now will provide a perfect view of sunset. Reason why we waited for it. As the sun start to set on the horizon, i can only smile and enjoy the beautiful scene starting to unfold. The sun was slowly going down the horizon. As it went down, the burning light of the sun got dull and it looked like a huge disc of orange and yellow. The sun’s orange was mingling with the light blue color of the sky and it produced a vast contrast of different hues. It was like watching a screen slowly changing colors. The scene was truly beautiful. The dull light of the sun somehow illuminated everything in a way I had never seen them before. Everything was almost still and the effect of the light made the scene look like one in a painting. The waves of the sea also seemed to have changed to a dull mixture of yellow and orange. The water was sparkling like diamonds in the light. The sun was gradually going down and by the time it almost disappeared, the sky had patterns of colors, from light purple to a dull blue. The scene looked mesmerizing. The pleasant breeze, the sweet smell of salty water mixed in sand and the sound of waves crashing against each other completed the scene of a perfect sunset. This is life at it's finest. Flat limestone covered most of the shore on the other side. This goes all the way to the shorter and narrower second sandbar on the other tip of the islet. The other side is less frequented by tourist. If you intent to be by yourself, this is probably where you wanted to stay and watch the sun made the sand shine like pearls when the hit by its rays. Tired and drained from long travel straight from an 8 hour night shift, i took an early rest,my body surrendered and called it a night as early as 9. The rest of the group are still having a great time and enjoying the night. Few hours passed by, I was awaken by the strong winds and crashing waves. Lord, what's happening? The wind was really strong that it can afford to shake the lifeguard station. I paused and prayed that this will calm sooner. Several minutes, and the rain started to pour. Splashes of water get into the station and i just have to move to the other side to get comfortable. The sleeping bag is getting wet and I started to feel really cold. I continued praying that this will be over soon. From that moment where everything is fierce, I can hear the whistling wind and the strong current from the crashing waves, I realized how difficult would it could be for people living near the shore and for those who really don't have shelters. I admit felt certain amount of fear and I continued clasping my hands wishing for a calmer night. I don't know what time is it when i eventually fell into a deep slumber. I woke up earlier in the morning to catch the sunrise. I walked towards the edge of the island where i can see some fishing boats starting to do their thing. The sea is calm as if nothing has happened last night. This applies to life as well, when another phase of sun is rising, this symbolizes new day, new life and as the saying goes, life goes on. This time, you’re getting wiser and stronger. This is the reason why I like to wake up early and take a morning stroll; if I am in an Island, it makes me appreciate its serenity and exotic beauty. While everyone is sleeping and getting a good rest, I am having a grand time savoring paradise at it’s finest state. The island is bare. There are cottages available for rent with table and chairs. Bring your camping equipment and tents if you want to spend overnight in the island as there are no rooms for accommodation. There is a public restroom with saltwater. Make sure to bring your own potable water of you can request one from the tourism office. Buy all food and drinking supplies from the mainland’s market before leaving. There is no electricity in the island. Conserve your batteries or bring a power bank. Bring cooksets and burners if you wanted to cook your food. There are areas in the islet to grill your food. Mobile phone signal is pretty decent. The coast guard does not allow boats to leave the mainland late in the afternoon, so make sure to be in Palompon in the morning. Tourism office will give you two trash bags, one for biodegradable and another non-biodegradable. Make sure to bring them both when you get to the mainland, the staff will ask it from you. Since there’s no freshwater for bathing in the island, you can freshen up in the Tourism office once you get back. Indeed Kalanggaman Island makes it a worthwhile experience, not just because of it’s unique, unspoiled and captivating charm but because of the realization I have as well during my overnight stay. 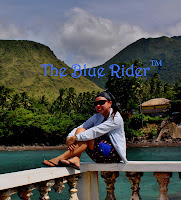 For those who are near the Province of Leyte, Kalanggaman Island is definitely a place to go. Whether you wanted to forget your troubles for a day or a quick get away with your loved ones or just needed a break for yourself from the stress and noise of the city. You can read a good book here without many people kicking sand on your face, be a camera freak for a day and get amazing photographs or simply give your eyes something to feast on: your choice!